SHARING this #Safety message could be a greatest gift of all to your friends! 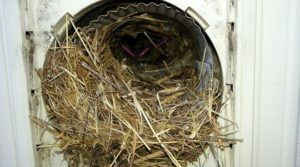 Have you ever wondered if cleaning your Dryer Vent was really that important, or just something else people say you should do? Take a few minutes to watch this video and you will see all of the hazards and dangers associated with a dirty/clogged dryer vent! 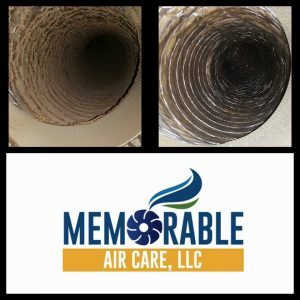 Call Memorable Air Care today to book your Dryer Vent Cleaning and for peace of mind! This entry was posted in Dryer Vent Cleaning on November 19, 2017 by Jeff Miranda. Have you Had your Air Ducts or Dryer Vent cleaned lately? This entry was posted in Air Duct Cleaning, Dryer Vent Cleaning on July 10, 2016 by Jeff Miranda. This entry was posted in Dryer Vent Cleaning and tagged dryer vent cleaning, monmouth county, nadca, New jersey, nj, ocean county on May 15, 2016 by Jeff Miranda. NADCA Certified Air Duct Cleaning!!! This entry was posted in Air Duct Cleaning, Dryer Vent Cleaning, Furnace Cleaning, HVAC Coil Cleaning on October 14, 2015 by Jeff Miranda. Dryer vent cleaning is a yearly service needed to prevent dryer fires!!! Hire a pro: Though there are do-it-yourself vent cleaning kits available, they typically aren’t as effective as the tools used by professionals. One advantage to having an experienced, qualified and reliable professional clean your system is that he or she has likely seen just about every make and model and will likely be able to clean the interior components more efficiently than you will. Plus, you’ll have the assurance that the job was done correctly and safely. This entry was posted in Dryer Vent Cleaning on July 14, 2014 by Jeff Miranda.